First, I sketch out the painting. 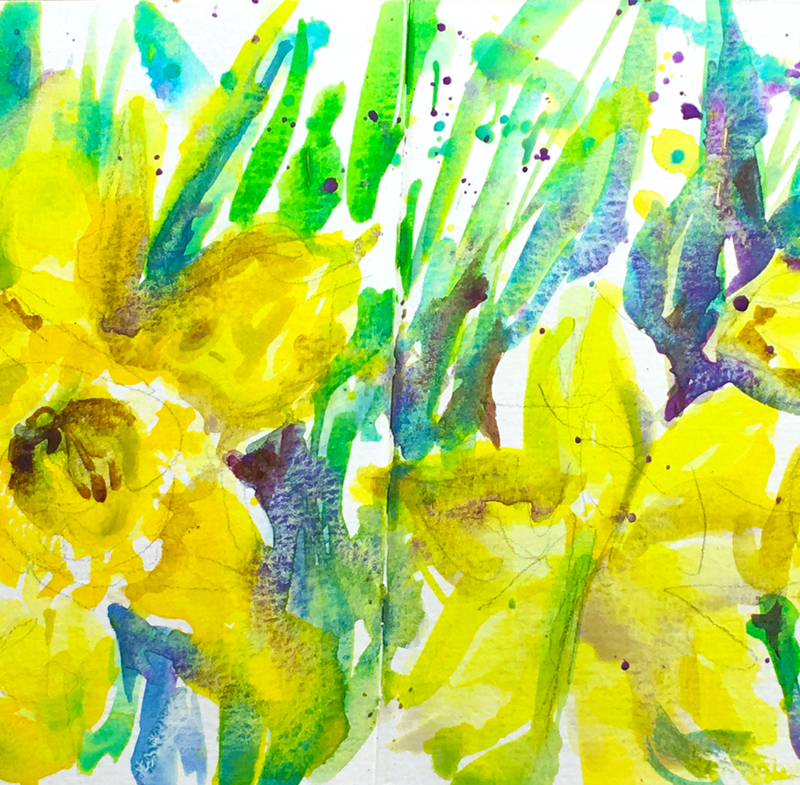 Remember in watercolor you're just sketching quickly. Add too much detail and you'll have a boring painting! But get the perspective wrong and it won't make sense. Keep it very simple. Don't lose any whites that you might possibly need. 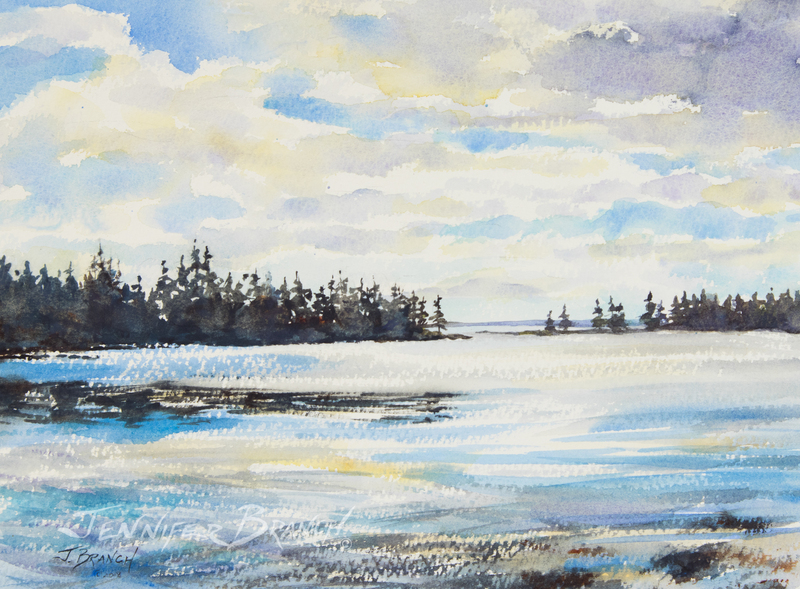 I did a mix of wet into wet and wet on dry here. Ah, color! Have fun, let your brush dance over the paper. 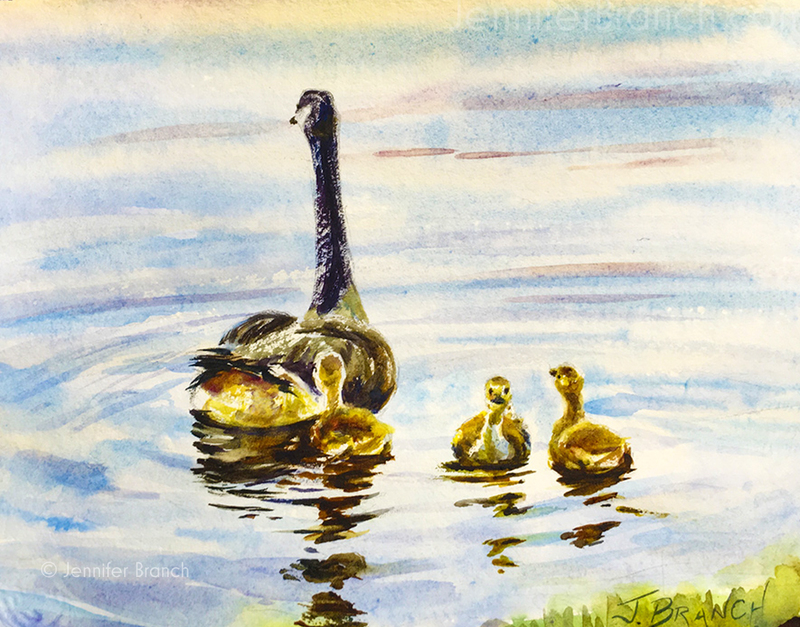 I'm still reserving the boats but I added very dark shadows under them. It's important that the boats don't get too dark, almost glow on the shadowed rocks. Warm glowing oranges and cool blues reflect the rocks. I'm starting to get the reflection on the puddle of water in the bottom of the boat now. The water to the left is taking shape as well. The masking is all removed now except for the reflections. Slowly building up the boats. 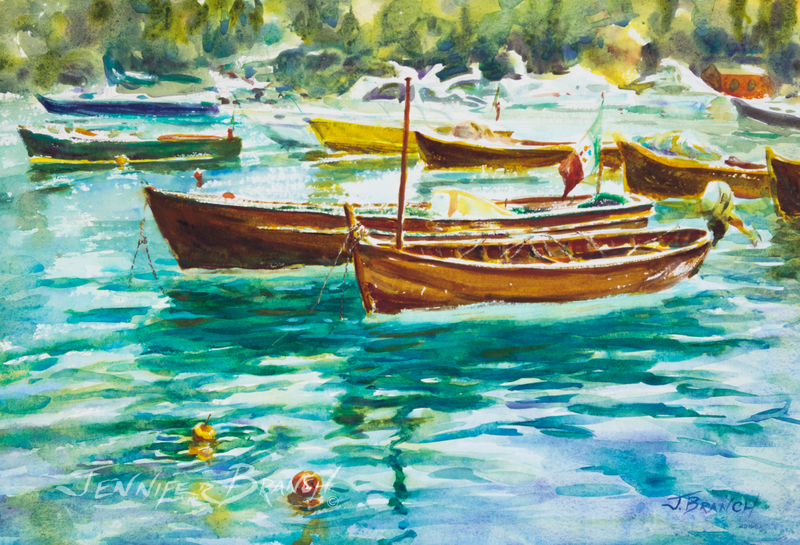 To purchase Dinghies IX Tutorial original watercolor painting, please click! 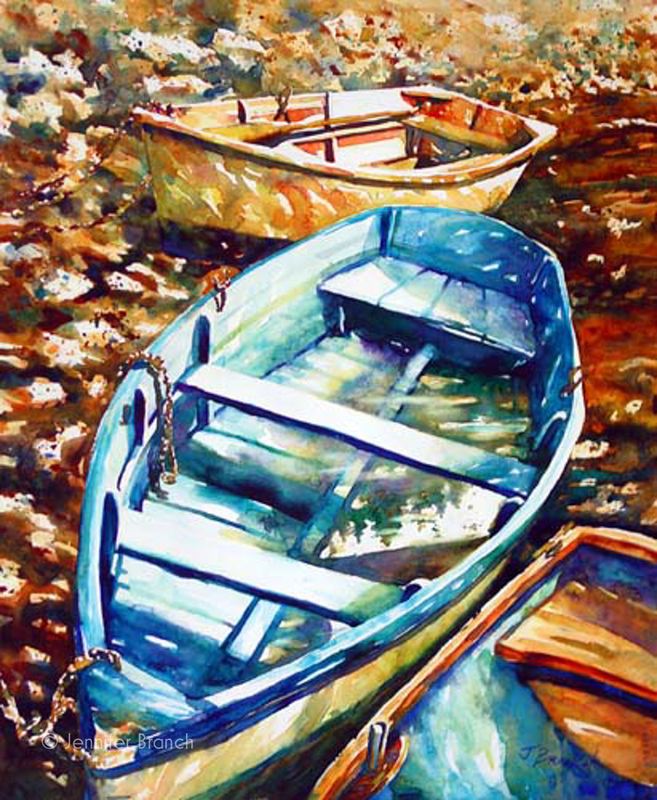 Dinghies IX Tutorial Final Watercolor Painting!